Are you looking for Summer Math review? 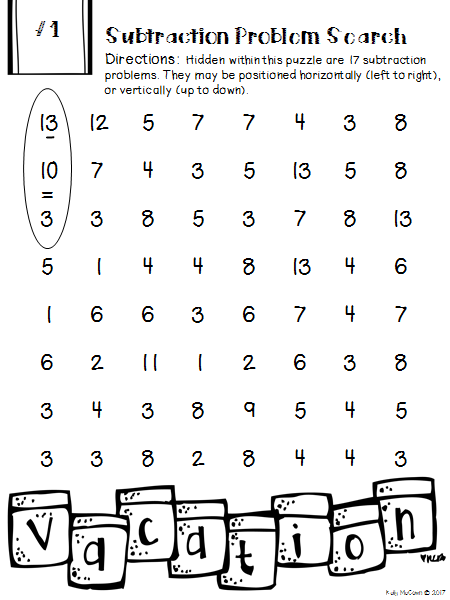 Do you want to engage your students in practicing Math this Summer? If you said YES, there are many resources available for your students. 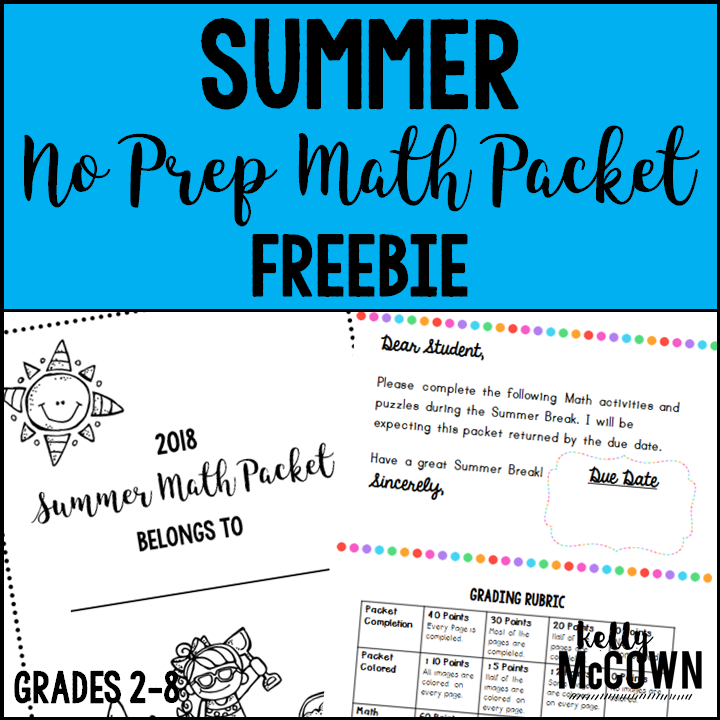 This FREEBIE is a sampling of my Summer Math packet that your students will want to do every day of the summer! This packet is just plain fun. Not only is it PACKED with grade level common core math problems, it also gives students fun coloring, puzzles, and problem solving. 1. A fun review at the end of year or after testing! 2. A summer packet for students to complete at during June, July, & August!! 3. A beginning of the year review activities for August & September!!! ✔Lots of coloring fun. I’ve intentionally designed this packet with lots of pictures and borders to color. A MUST: Using a set of crayons or markers. 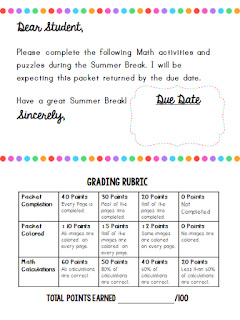 I hope this Summer Packet is a great addition to your students' summer plans. 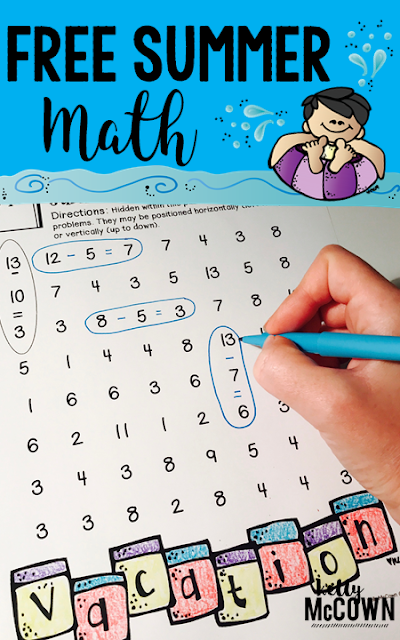 Summer Math can be fun and engaging if you plan for it! 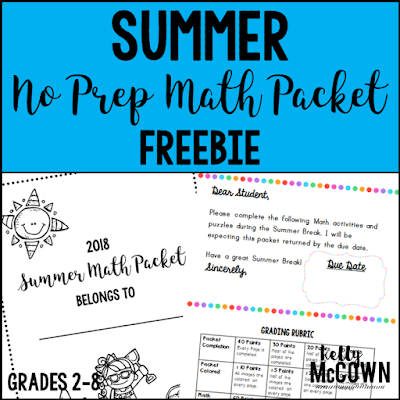 Many teachers have written reviews of how they have used these packets for summer tutoring, send home packets, or even parents that have used this Summer Math packet for review with great success! 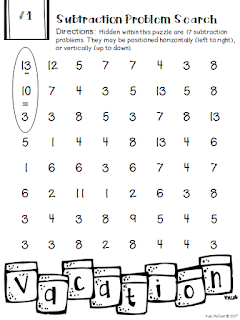 However you use this packet I'm positive your students will enjoy the coloring and Math activities that will help them review their grade level content.